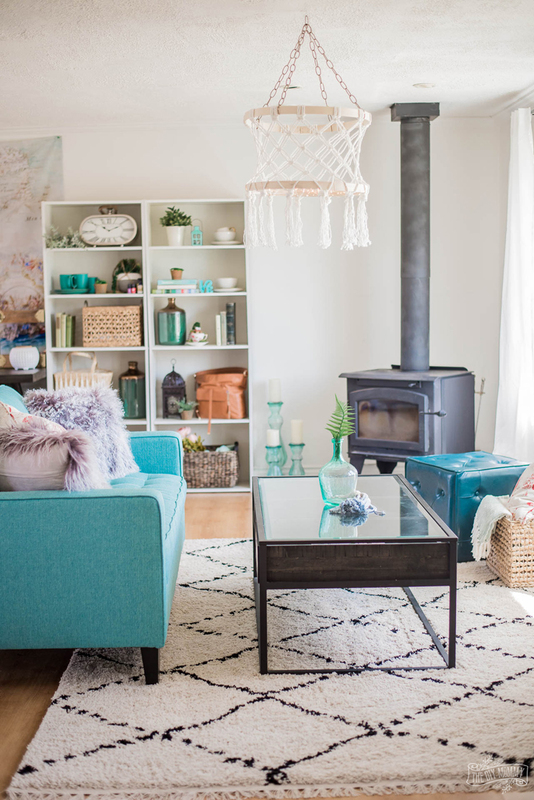 ﻿Are you struggling with knowing what size of rug to buy? 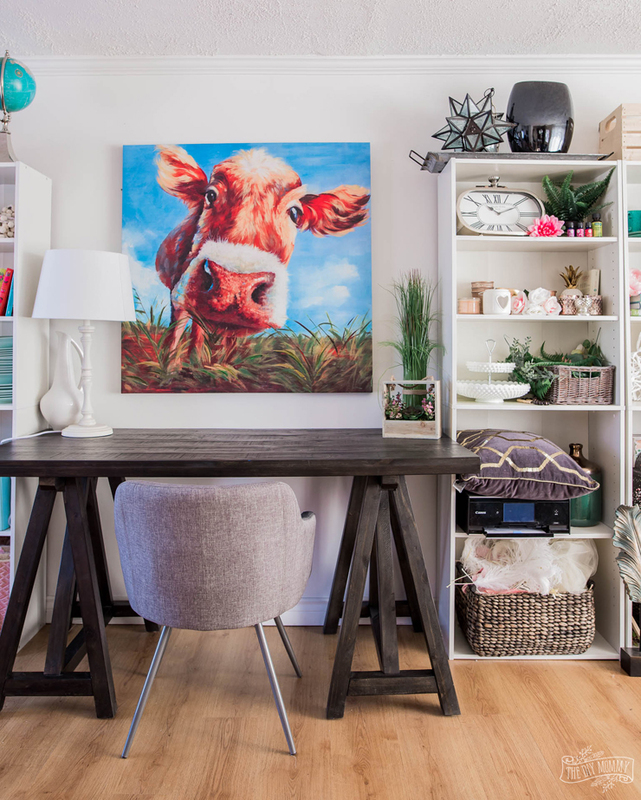 Wondering how high to hang your art or lighting? Are you looking for a quick & easy way to make your room look like it was designed by a pro? 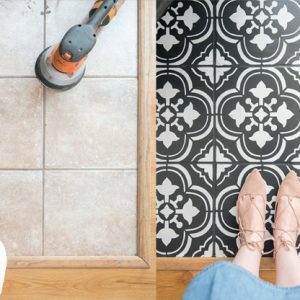 These common home decor measurements will help get you well on your way! 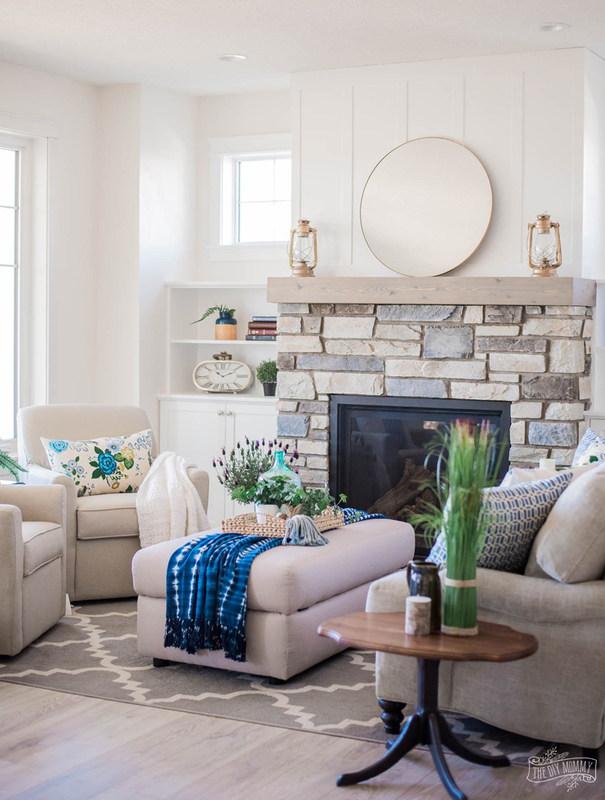 Read on to learn several important rules of thumb in interior design that help take the guesswork out of decorating your home. Disclosure: This post is sponsored by The Brick. As always, all of the opinions here are my own. Even though I hate math (seriously – it was my worst subject in school! 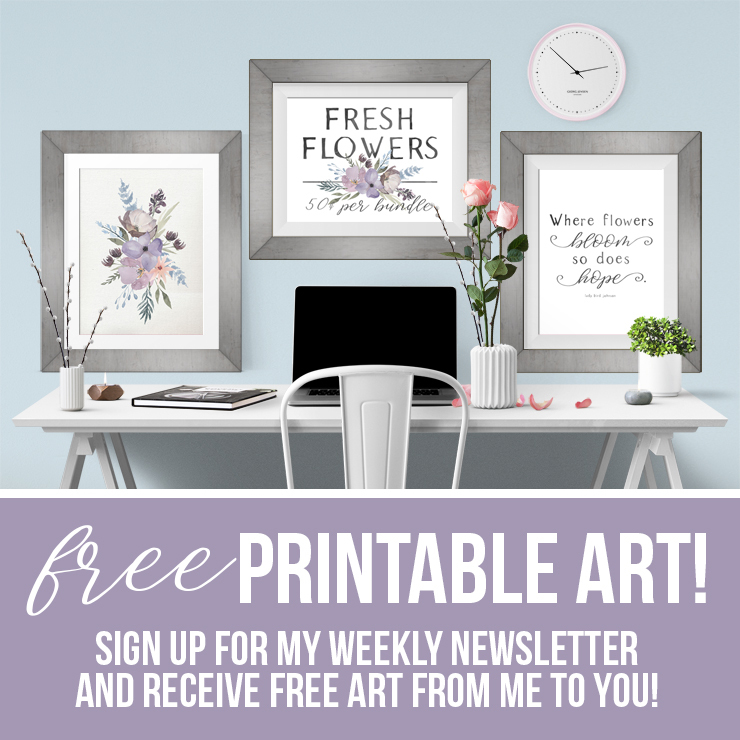 ), I’m always surprised by how often it pops up in all my favourite creative endeavors… especially in interior design and home decor! 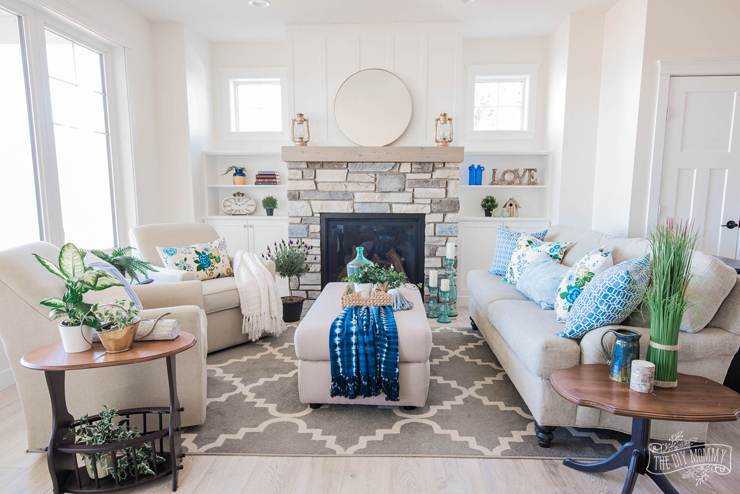 Measuring a space and knowing the measurements for pieces that will look good in it is an incredibly helpful thing to know when you’re decorating your home. 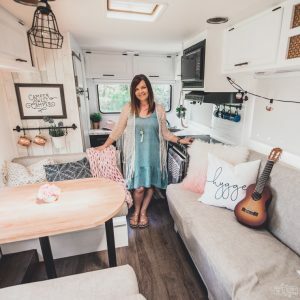 Here are some common questions I’ve asked myself and people have asked me about sizes and scale in home decor. Once you know these, you’ll be thrilled with how quickly you can put a room together and make it look good! 1: What size of rug should I buy? Generally, bigger is better when it comes to area rugs. A large rug will really ground your space and define your room. You want to have at least the front legs of your furniture on your rug like my mom has in her lake house living room, pictured here. Even better? Have all furniture legs on your rug, but make sure to leave at least 24″ between your area rug and the walls of your room. This beautiful, neutral rug is the 7 x 10′ Taza from The Brick. I like how it defines the space with its geometric pattern, but it’s not too overpowering. Its low pile is also perfect for a country home – it’s so easy to clean. 2: How high should I hang my chandelier? Hang your light fixture so that its bottom is 30″ to 34″ above a table. If it’s in a space where people will walk beneath, allow at least 7′ of clearance underneath. We used to have this room styled as a formal sitting room, and then when we decided to turn it into dining room featuring this show-stopping Keswick Dining Table. We had to lower our orb chandelier over the table to make the space look right. The black of the fixture is a great contrast to the warm textured wood of our table! 3: How high should I hang my art? Hang art so that its center is at eye level; about 5′ from the floor. Most people (including myself!) want to hang art a little higher, but gallery level will really help the art pop! 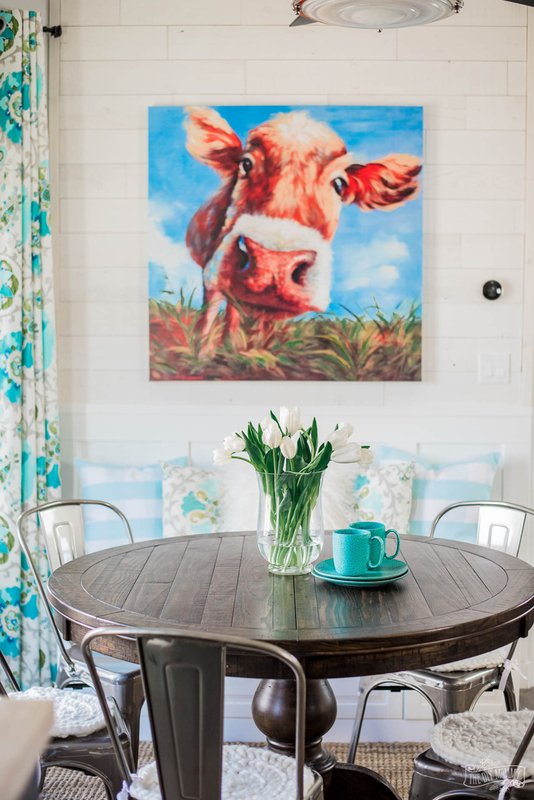 We had our cow art from The Brick (affectionately named “Moolisa”) here in our breakfast nook and the blue of the art worked so well with our drapes and the deep browns of our Trudell Table. 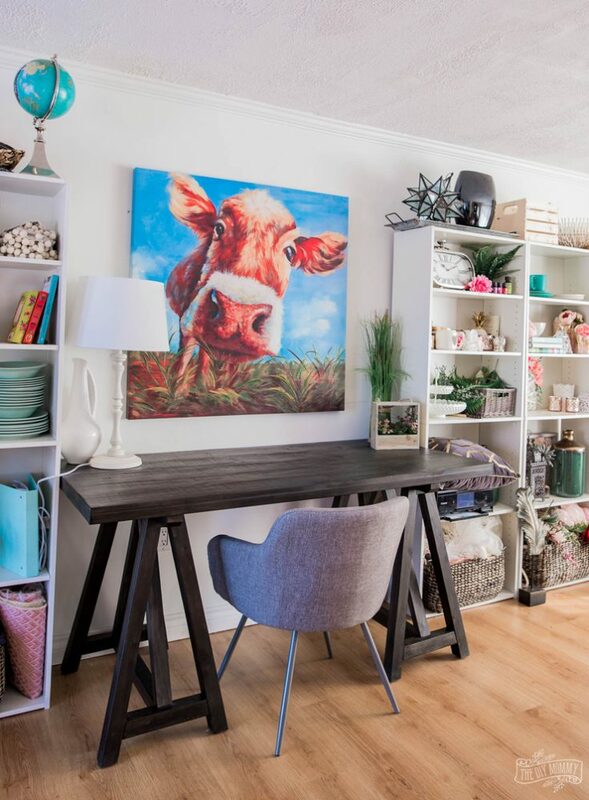 If you’re hanging art above a desk, sofa, or other piece of furniture, leave 6-8 inches between the furniture and the bottom of the art. Now I have Moolisa in my work studio, and love how cheerful she looks over my Calistoga Desk! I’m enjoying how this desk has been functioning for me with its huge top (SO great for sewing or computer work), and the deep wood tone contrasts nicely with all of the white tones in my studio. 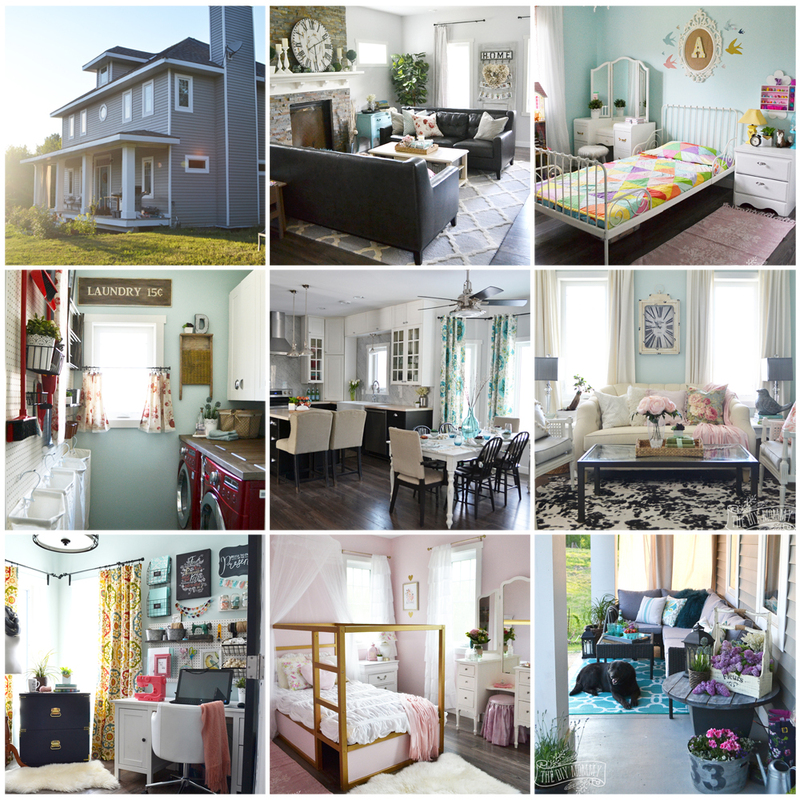 4: How high should I hang my curtains or drapes? If you want to create the illusion of a taller window, mount your drapes about 6″ above your window frame. You can even mount them higher like I did here to create an even grander feel. You can also make your ceilings appear taller by making sure your drapes graze the floor. We recently switched the drapes in our breakfast nook to simple white ones for a softer look this season. 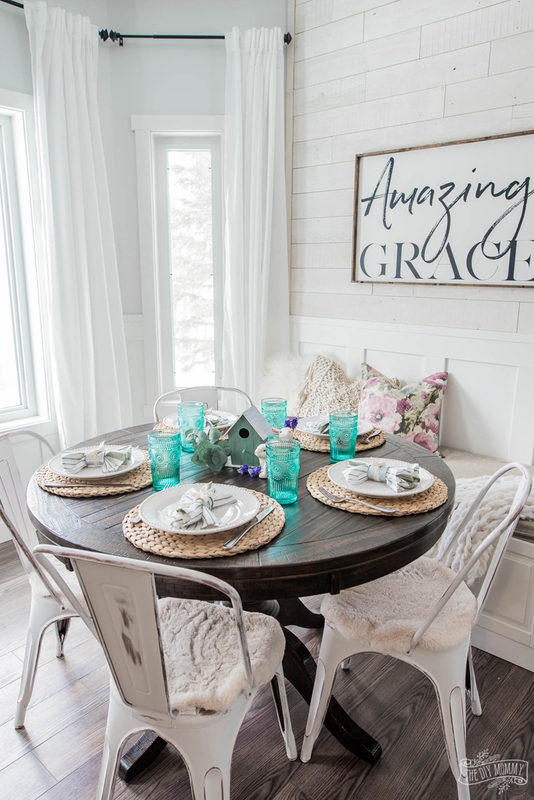 All the white in this room now really makes our Trudell Dining Table really sing! We usually leave the center leaf of the table in for our family dining, but lately I’ve been keeping the table smaller for more intimate family dinners. I really like how I can swap the shape so easily on the table! 5: How big should my chandelier be? 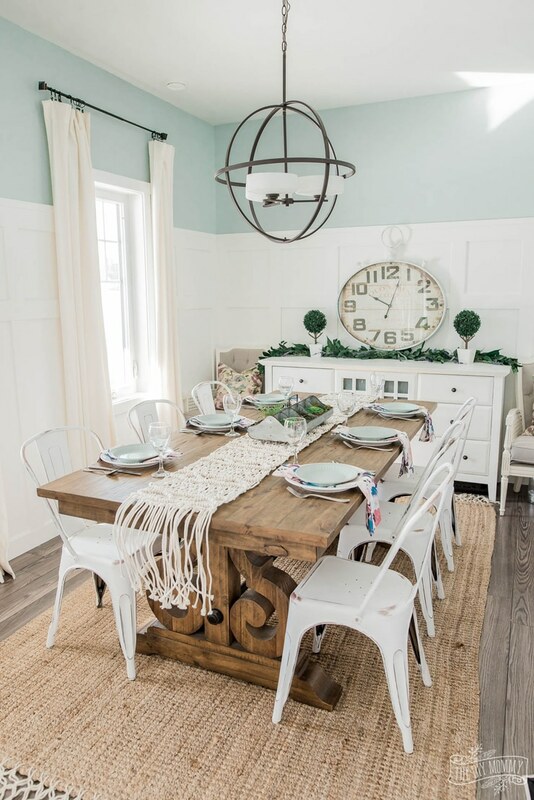 If you’re hanging a chandelier above a dining table, a good rule of thumb is to have it measure about 1/3rd of the table’s length. For a chandelier in a living room, firstly ensure you have enough clearance height to hang it. To find a nice diameter of the fixture, add the height and the width of the room together and the resulting number is your diameter (in inches). So, if your room is 10 x 20′, a chandelier with a diameter of 30″ would be a great size for your room. I love the statement chandelier in my parents’ lake house master bedroom. It’s traditional with a cottage twist just like their gorgeous white Bridgeport Bed. I don’t think you can ever go wrong with a white bed frame, and the details on the headboard and foot board of the Bridgeport are so timeless. 6: How big should my throw pillows be on my couch? This one is more of a personal taste, but I prefer larger pillows – at least 20″ wide – on my couches. Then, you can layer smaller ones in front of them for a plush look. Purchase pillow inserts that are an inch or two larger than your pillow covers for a full, expensive look. 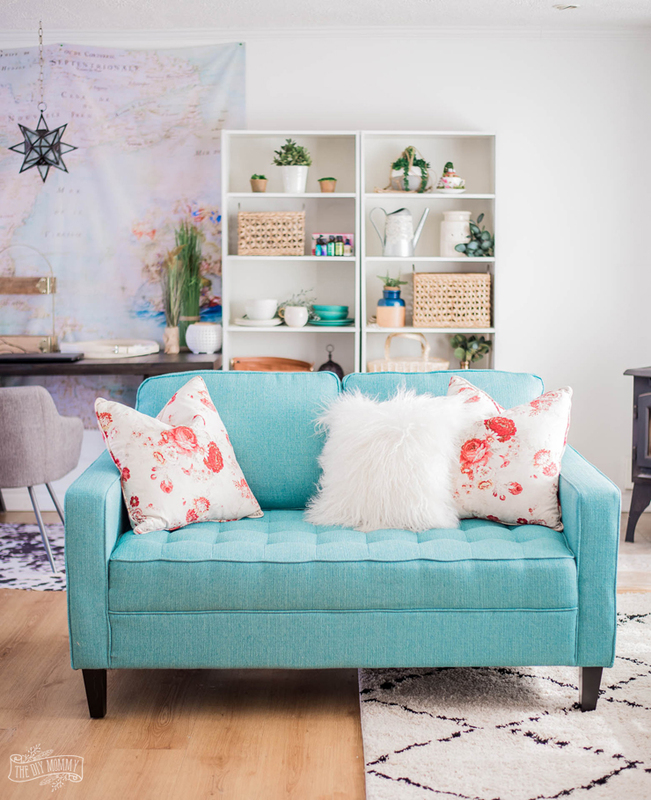 I enjoy experimenting with colourful and textured pillows on my Paris Loveseat in Ocean in my work studio! Have you seen this guy cameo in my YouTube videos? The colour is so vibrant, and of course I love the tufting. It’s the perfect piece if you have a small spot that needs some colour. 7: How much room should I have between my furniture? A good rule of thumb is to choose a coffee table that’s 1/2 to 3/4 the length of your sofa so that it’s easy to access. Place it about 18″ away from your sofa so it’s within easy reach. Allow a minimum of 30″ for pathways around furniture. My Calistoga Coffee Table in my studio is quite large, but it’s still about 3/4 the width of my Paris Loveseat – I really like how they look and function together. The coffee table serves as a spot for me to put my inspirational decor magazines (it has drawers and a glass top for easy organization) and I like that it matches my work desk. 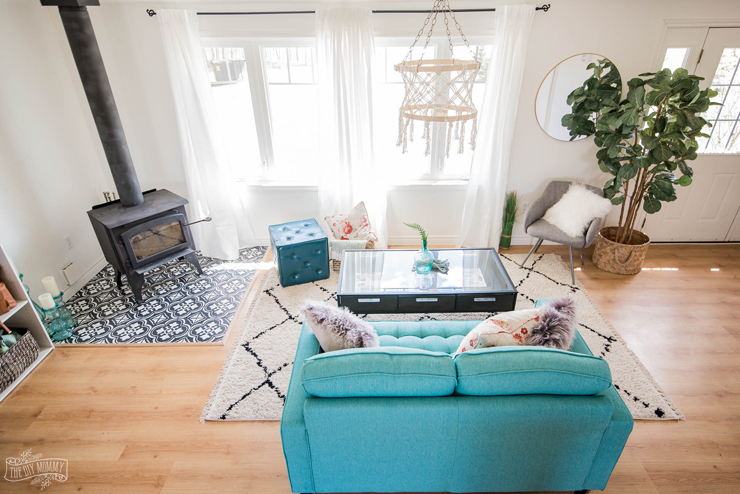 With these helpful home decor measurements in your arsenal, I think you’ll find it a lot easier to decorate your home & make it look good in a flash! A little bit of math will go a long way in making your home look its best. I hope you’ve found this helpful today! Stewart, Martha. The Martha Manual: How to Do (Almost) Everything. Houghton Mifflin Harcourt, 2019. Needleman, Deborah, et al. 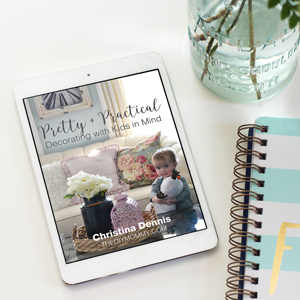 Domino the Book of Decorating. Melcher Media, 2008. We were having an argument with my wife about how high to hang the art piece in our living room. Can’t wait to show her this so that she can get convinced that eye level is the best.